Buy All-in-one Brother MFC-240c with CISS with CISS and make 30 times more quality prints for the same money! Pay only 0.04 USD for A-4 full color print! Brother Company is the leader in the manufacturing of all-in-ones and its creation вЂ“ the mfc-240c printer вЂ“ will not disappoint you in an overall performance. Analogous to the BROTHER MFC-465CN all-in-one, you will enjoy compact design and other features you may find really rarely in competing printers at such a very friendly price. Here, pages per minute (ppm) are measured in the draft mode, come in at an acceptable twenty five for B & W printing and twenty for color. But we must say this mode may not let you print with the quality you need. You will find excellent functional in the copy mode, but for sure experience the same quality decrease in the draft mode. Brother mfc 240 is the devise one need to test himself and choose the best modes to suite personal requirements. Experts praise the Brother MFC-240C first of all for its versatility and speed. 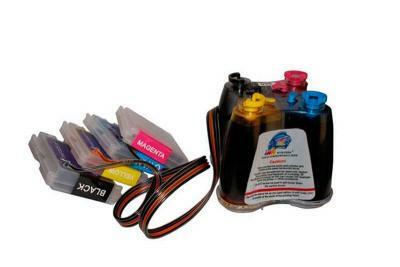 Different from many all-in-one printing devices that top out at about 7-10 prints per minute, it goes above and beyond as to produce more than 20 ppm for both color and black and white. Everyone loves the compatibility and ease-of-use that this all-in-one printer shows. With the simple interface and just easy-as-pie networking and, for sure, set-up, it is no wonder it is such a favorite among users. Esthetically, brother mfc-240c wireless all-in-one inkjet printer is very utilitarian, bland and functional. Made of plastic, it is somewh at shoddy and not impact-resistant that much, but if you are not going to smash and crash, it should be fine.First thing to notice when printing pictures is good card reader and inbuilt into printer LCD screen. These two features allows for "easy and quick", as it is claimed, photo printing without transferring the photos to the computers. But actually we found it slow and inconvenient. So it's better to use your computer to print pictures from brother printers mfc-240c. We tried to print a photo 6 x 4 at maximum resolution on high-gloss paper, it took us only thirty second. The result impressed us as it was really good with high-quality color rendition and reasonable speed. The only problem we faced was it put out a lo of noise. Brother printer mfc-240c is still among top photo printers in this price category. Noise is the thing to consider, but we emphasize on the rapidity, as not all less noisy printers like BROTHER DCP-115C can perform the same or nearly the same speed. Copying, scanning and fax utilize a letter-sized flatbed. A ten-page automatic document feeder is inserted for multiple-item copy, fax and scan jobs. The fax option as well includes the 200 page out-of-paper memory, which is very convenient for those who use faxes. Brother printer mfc-240c is PC-free for photo printing and uses PictBridge-compatible USB devices, slots for the majority of flash-memory cards. This is a reliable all-in-one device that not only prints documents and scans, but also faxes, prints photos and copies. It is all about what you expect from the category leader. 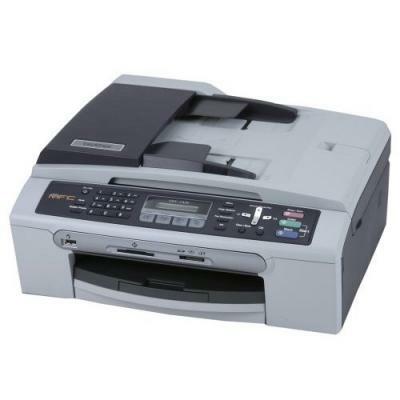 Printer mfc-240c brother is easy in use and does not put in special space requirements. It becomes really good solution both for home and office needs. As it is stated, it offers color and black-and-white printing. mfc-240c brother can print twenty color pages per minute, and black-and-white prints can be made at more than twenty five minutes. Using brother mfc-240c wireless all-in-one inkjet printer for a long time some anomalies may appear. For example, it may be setting an answering machine greeting with several seconds of dead air in the beginning to work with it and above normal ink usage. No wonder that other experts emphasize on its price and features, a recognized value in the market of printing, scanning and copying devices. Minimum Paper Width/Length (Paper Tray) 3.5"/5"
Maximum Paper Width/Length (Paper Tray) 8.5"/14.0"
Sheet Weight - Paper Tray (max/min) 17-58 lbs. Unit Dimensions (W"xD"xH") 15.7" x 14.6" x 7.1"
Unit Weight (lbs) 17.4 lbs.